The Grand National weights were out this week and one that immediately caught my eye was SAUSALITO SUNRISE. He is a decent horse and has a good weight off his current mark. He is running today at Ascot where I expect him to run very well in preparation for the big one. Ive taken an ante post bet of 50-1 for him. On to today’s action and I’ll start with my national tip who runs in the race he won last year at Ascot; the Swinley Chase at 2:25. I really fancied him too run well in the Peter Marsh chase at Haydock last time but he unseated Dickie early. I thought he ran well at Cheltenham earlier in the year behind Theatre Guide and was starting to get going when hampered. After winning this race last year he ran well behind MANY CLOUDS at Kelso off a mark 8lbs higher than today. He is the same racing weight as winning this last year and seems to enjoy this track and I’m expecting a big run today and that will hopefully set him up nicely for the big one at Aintree. I fancy FLINTHAM in the Reynoldstown to upset the two market leaders as he will go at it from the front and will love the ground. His price has seriously decreased since last night and he should run a big race. The big handicap hurdle at 3:00 at Ascot is a cracking puzzle. DOESYOURDOGBITE found the pace and the quality of the Lanzarote too hot last time and this drop back down in class may allow him to revert to his winning ways. TEMPLEROSS ran a cracker in that race but I feel it was a one-off. DIVINE SPEAR catches the eye after staying on well at Cheltenham last time but I’m taking a punt on CYRNAME at a decent price. He was a good horse in France and ran himself out of his British debut way back in November. Nicholls will have been doing lots of work at home with him and I like to look out for horses he puts away fro a while. Sean Bowen sits so quietly on horses and he will hopefully switch him off in behind; he COULD run a big race! Onto the best race of the day, The Grand National Trial Chase. I have it down to two. BLAKLION really disappointed me when carrying my sheckles at Wetherby, and despite winning the RSA last year, he hasn’t shown me enough yet and I think this is too much for him. VINTAGE CLOUDs showed last time he can mix it with the big boys and despite falling in the Peter Marsh, ran very well. My two though are KRUZHLININ and VICENTE. The former was tipped by me on this blog for the fixed brush here, and horse for course at Haydock is important. He only found OUR KAEMPFER too good on quicker ground last time. My worry is the consistency and bravery of his jumping and whether this extended trip will suit! VICENTE then, I tipped him to win the Scottish National last year and he is only 1lb higher than that victory today. The ground hasn’t been right for him a few times this year and I thought he ran a cracking race behind a rampant ZIGA BOY last time at Donny. He will appreciate the drying ground and the trip and I think he will run a big race to prep him for the big one at Aintree. He gets my nod over KRUZHLININ. I think it’s only fitting to dedicate the blog to another brave hero whop died what he loved doing best. RIP Many Clouds, what a horse! The way he won last Saturday typifies the horse he was. So sad but we have to remember these brave horses and celebrate what enjoyment they gave us and how they love doing what they do. On to today and a few cracking races to get my head around. The Edinburgh Handicap Chase at 205 is having its inaugural run and there could be a few national clues in it. ALVARADO has to win or run very well to give him a chance of getting in there big one but he’s a bit long in the tooth now I feel. JUST A PAR is no doubt being targeted at the bug race but he has to shoulder a big weight but this is a race he could certainly win off this mark and he will appreciate the ground. GONALSTON CLOUD has missed his chance I feel, he should have won last time but was given too much to do. He stays forever though and could be in the mix. AZURE FLY is one who has been very consistent at shorter trips and if he stays he could run another cracker and is a value each way bet in a competitive affair. I am opting for DANCING SHADOW though, he caught my eye when finally getting his head infront at Doncaster last time in a race that I really fancied COURT BY SURPRISE in. 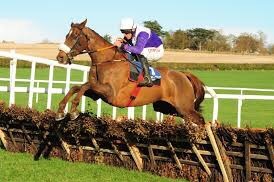 He will love the ground and Noel Fehily on board is a huge plus and I think he will run a big race. I have been waiting for DIEGO DU CHARMIL to come out again. He hasn’t shown anything like his true self as when winning the Fred Winter last year. He didn’t cope with the ground last time at Ascot and never really got into the race which STERNRUBIN won before that. He has had a nice break and will really like the ground and I’m still convinced he is a very smart horse and I think he will take this today. A definite win bet. The Betfred Mobile Heroes Hurdle (3:00) is a belting puzzle to solve. The trends indicate a big weight is a huge disadvantage so forget the first 5 on the card. BEHIND TIME is a worthy favourite and is being very well supported. He ticks lots of boxes but I want to see another run after his flop last time. He could be very decent and if he runs anything like his first outing he should take this but his last run still sits in my mind and casts a doubt. EL TERREMOTO won on heavy at Haydock in November and it will be veery testing today which could suit him. VALHALLA has been very consistent prior to Christmas over hurdles and if he takes to the ground could be a very good each way bet at 22-1. I can’t ignore ROLLING DYLAN though. He’s never been out of the first three and was just pipped by SHANTOU BOB last time when stepping up in trip. An 8lb rise is fair and he will love the ground and should run a big race. The final chase on the card at Sundown is another little belter. OTAGO TRAIL has shown glimpses of his quality and will love the ground but he has a big weight to carry. ROCK THE KASBAH looks a progressive horse and if he stays, and if being a big IF, he could win this. I can’t get away from SANDY BEACH though, he ran very well behind OUR KAEMPFER and KRUZHLININ last time when I think the ground was a little too quick for him. This softer ground will help, he’s a strong traveller, and a good jumper and I can’t believe there is 14-1 about him in places. He is the bet of the day for me.